As always, I thoroughly enjoy designing for Omegaman & Friends. Their anti-bullying program is very influential and I am proud to lend my services whenever possible in contribution to their cause! 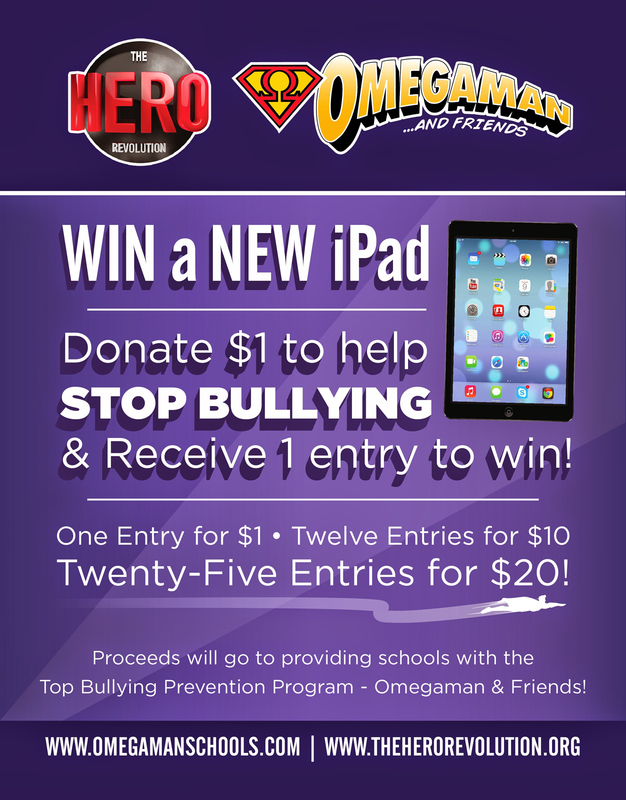 This flyer design is an advertisement piece centered around gaining donations to help fund the Omegaman & Friends anti-bullying program. The header which features “The Hero Revolution,” and “Omegaman and Friends” logos serve to immediately identify the brand. 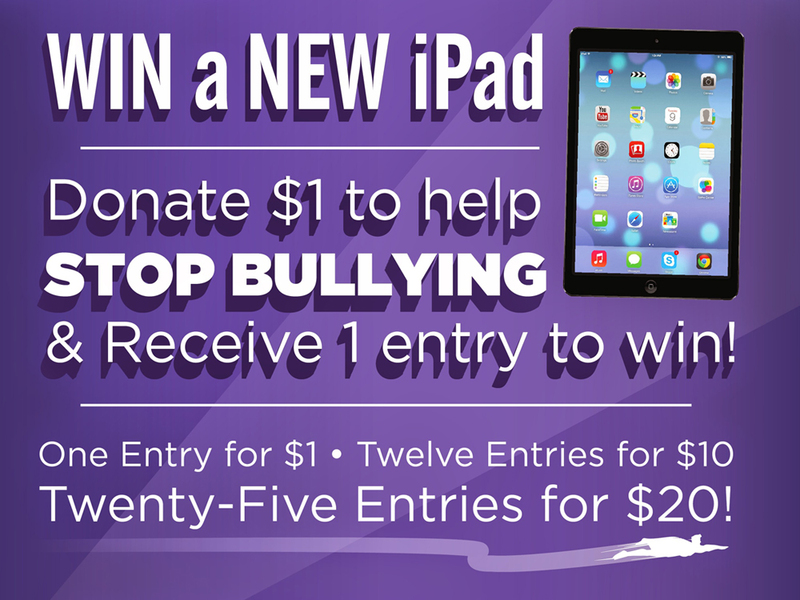 The content of the flyer features bold typography in a layout that is easy to read and also draws attention to the prize, the iPad. With the use of horizontal dividers, content has been divided into more bit-sized chunks for easy comprehension and an aesthetically pleasing layout. To emphasize the highest donation tier and greater chance for reward, a superhero’s motion blur was used as an underline. Lastly, the recognizable shape of a spot-light which is synonymous with the superhero call to action was used in the background to further draw attention to the possible reward for donating to the Omegaman and Friends program.